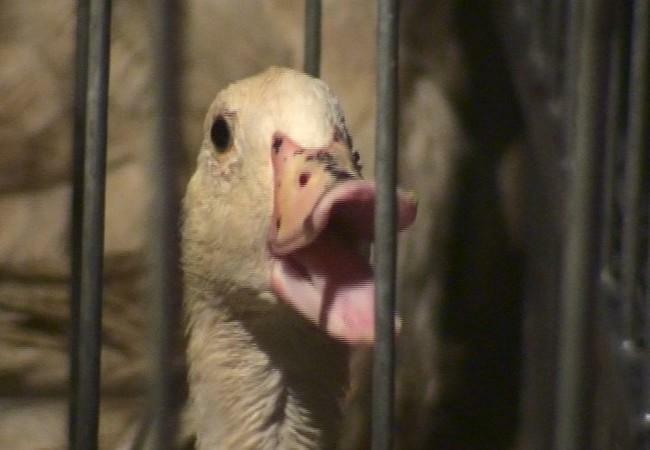 The pricey delicacy foie gras is based on incredible cruelty to animals. Through force-feeding, ducks and geese are intentionally tortured and made successively ill in order to produce this 'luxury product'.A metal pipe is rammed into the oesophagus three times a day. A mixture of maize and pure fat is administered through this pipe, intended to cause rapid weight gain and the abnormal growth of the liver. The liver is unable to process these large amounts of fat and swells up to 10 times its normal size. The pricey delicacy foie gras is based on incredible cruelty to animals. Through force-feeding, ducks and geese are intentionally tortured and made successively ill in order to produce this 'luxury product'. A metal pipe is rammed into the oesophagus three times a day. A mixture of maize and pure fat is administered through this pipe, intended to cause rapid weight gain and the abnormal growth of the liver. The liver is unable to process these large amounts of fat and swells up to 10 times its normal size. geese for up to 21 days. 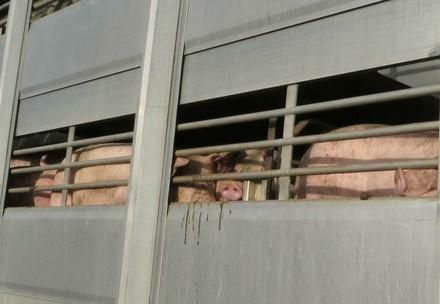 Mechanized systems can force-feed up to 400 animals per hour, making them successively ill. The increasing quantity of food makes the liver grow to 10 times its normal size. 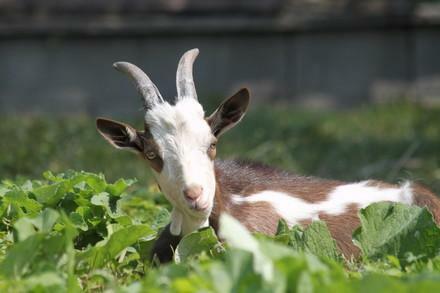 In conventional farming without force-feeding it is around 0.2 percent. Through force-feeding, the fat content of the liver increases to over 50 percent. By the end of their lives, the animals can hardly move independently because of their corpulent bodies: their thin legs are often unable to support the weight and snap. In addition, the brutal procedure of force-feeding through a metal pipe leads to grave damage to the oesophagus. This is most clearly seen when the animals are left heavily panting after the feed has been administered. Take care when purchasing duck and goose meat from France, Spain, Bulgaria and Hungary, since these countries export foie gras. Look out for ducks and geese without giblets! If the liver is missing, it is hard to prove that the animal was not force-fed. Check the EC identification mark on the product. By comparing the number with our foie gras industry information list you can check whether the meat stems from a country that allows force-feeding. Caution when buying goose liver pates, terrines and similar products made from duck liver. 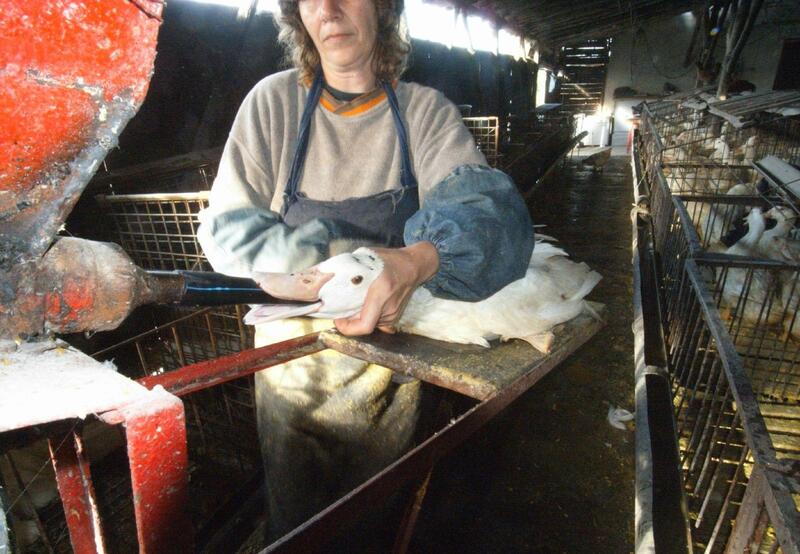 Even products originating in countries where force-feeding is prohibited can contain foie gras or meat from force-fed poultry. Look twice when shopping on your farmers' market! Not all the ducks and geese on offer come from farms that do not force feed. Even fresh, unwrapped poultry may have been force-fed. Ask for details of the origin and if in doubt, do not purchase the meat. 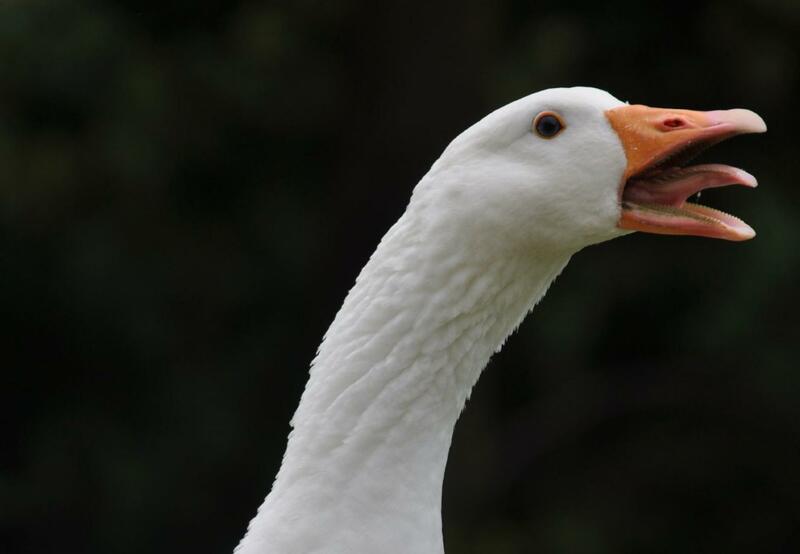 Think about the fact that conventional duck and goose farming also contravenes animal welfare. How about vegetarian or vegan alternatives this Christmas, or at least organic meat? 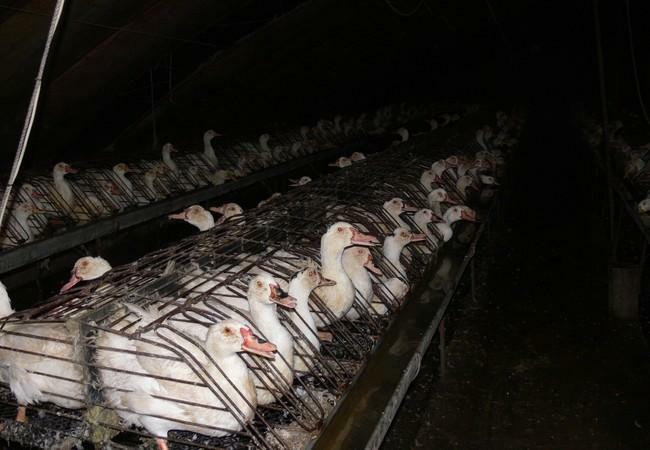 "The extent of human brutality towards animals is particularly obvious in the production of foie gras. Ducks and geese are intentionally made ill for a product that is commonly considered a luxury."